This sampler gives you a selection of songs representing the artists most accurately and how they sound during their live performances. 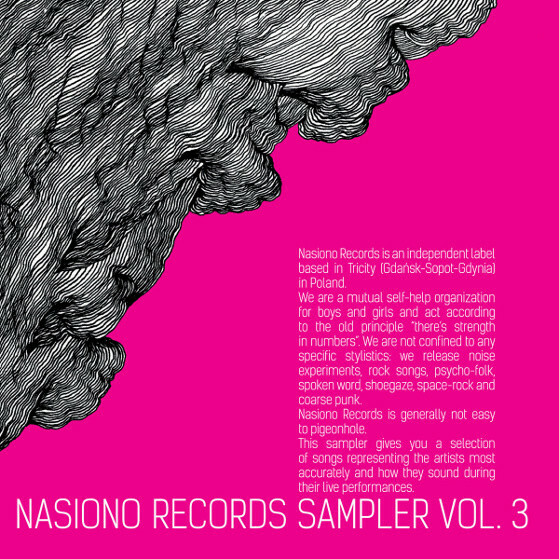 Nasiono Records is an independent label based in Tricity (Gdańsk-Sopot-Gdynia) in Poland. We are a mutual self-help organization for boys and girls and act according to the old principle “there’s strength in numbers”. We are not confined to any specific stylistics: we release noise experiments, rock songs, psycho-folk, spoken word, shoegaze, space-rock and coarse punk. Nasiono Records is generally not easy to pigeonhole.